Venom says that the case "installs in seconds", with matte hand grips, an outer body case and a glass screen protector all included. The eight games can be stored at the rear of the case, as seen in the images provided. Apparently, your Switch can still be placed in its dock - and be used in the dock - with the case still fully attached. We can't vouch for the safety of using the case inside the dock ourselves, but this does sound like a nifty feature for those who like to 'switch' between both handheld and docked modes regularly. If you're interested, you can order your very own from Amazon right now for £12.99. It releases this Friday, so any pre-orders placed now should arrive fairly soon. I like em big. I like em chunky. They're saying you can dock your Switch with your games stored in the case? It's already a tight fit as it is. @iRiS I like them round I like them plumpy. I'm in the market for a new case, this looks interesting but I don't think it would protect my Switch inside of my messenger bag. If it would fully wrap around it I would buy it. I'll keep an eye on this. 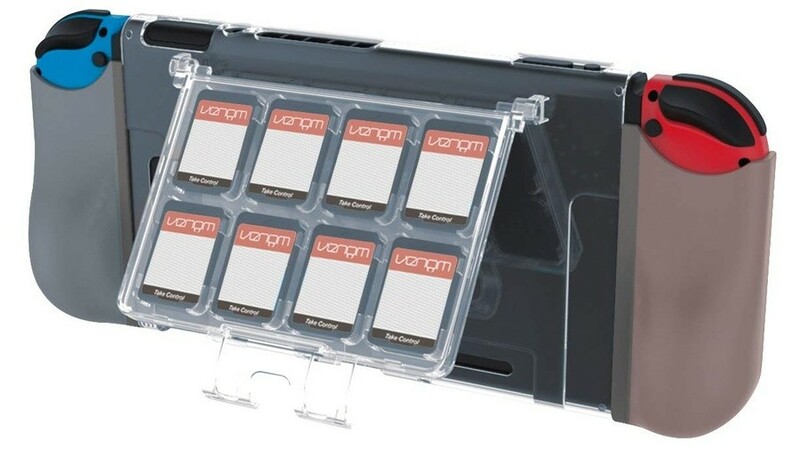 This reminds me of the plastic cases you could put your DS Lite in. Tickle my nostalgia bell. I mean I guess it's useful for the kind of person who is always walking around with their Switch. @OorWullie I would guess judging by the photos they expect us to constantly attach and de-attach the games case section. The 2 top points where it connects to the back are probably just above the top of the dock and the bottom part just kind of grips on. Not a terrible set-up, but there's still work to be done. @OorWullie if you look at the pictures on the Amazon listing they show the stand/game storage flap has been lifted up to accommodate the back of the dock. I thought this looked nifty and pre-ordered it a couple of weeks back. I have been enjoying my Orzly grip a lot so this has got stuff competition in my eyes. The benefits of a better stand, storage for games and being dockable may swing things into its favour. We shall see. 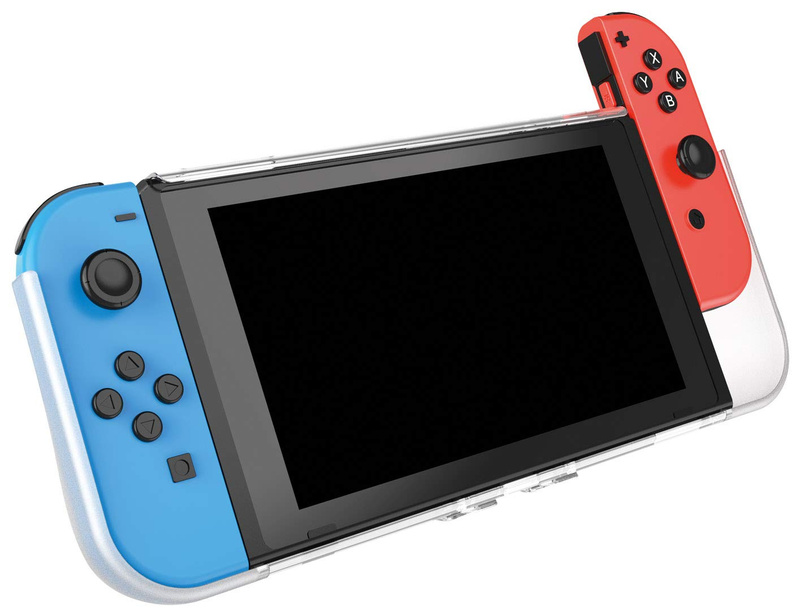 someone should launch a Switch case with those usb-c bluetooth adapters for headphones built-in in the case, and tabletop mode compatible. Would love a hands-on review of this before buying it. Looks promising! I don't need to keep my games in a case attached to the Switch itself. That just seems really unneeded. 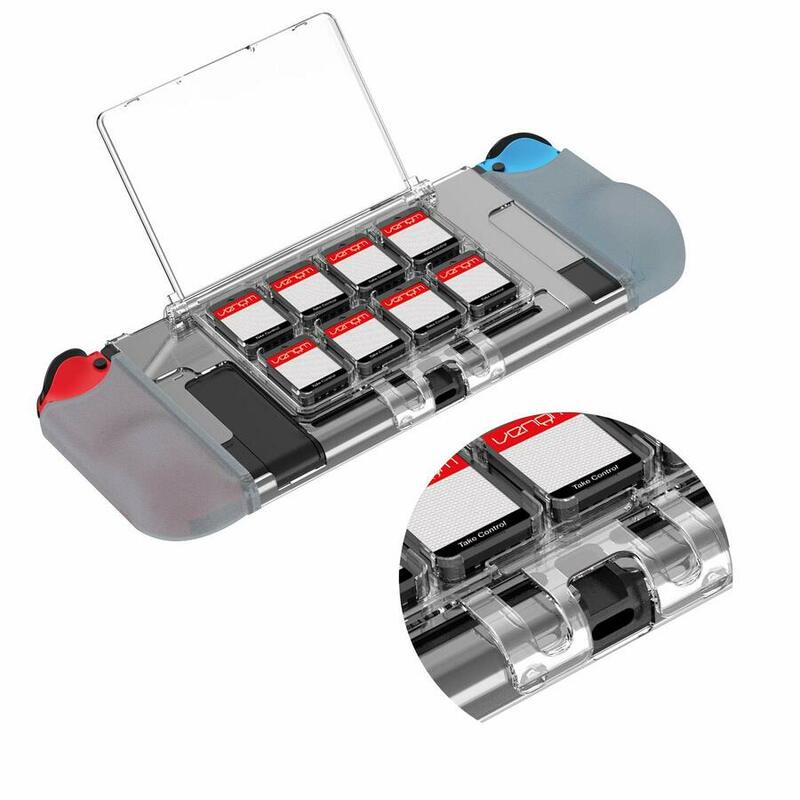 I'd much rather a game case, styled like a normal Switch game case, but that can hold a bunch of games and unlike the Hori cases, aren't so tight that it feels like you're gonna break the case every time you pop one out. Nothing will replace my Satisfye grip/case. Just got an email from Amazon today to say that is it delayed until May 13th.